Fiber Optic Technology Has Revolutionized Telecommunications – But How? It has taken many years for fiber optics to be used to their full potential for telecommunication services. 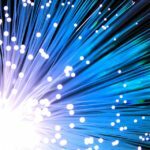 Considering fiber optic technology was first created more than 43 years ago, progress has been slow. Ironic, seeing fiber offers end users access to data at the speed of light. For Internet and bandwidth purposes, fiber optic technology is still largely underutilized. Only a handful of service providers in select countries provide complete access to fiber based networks. THE BASICS – HOW ARE FIBER OPTIC TRANSMISSIONS SENT? An optical signal is created using a transmitter. The signal is relayed via the fiber, ensuring the signal is not distorted or diminished. The signal is received and converted into an electrical signal. Since the establishment of the first fiber WAN in Essex in the U.K in 1978, fiber has slowly developed, grown and in some instances, completely replaced traditional copper based telecommunications services. 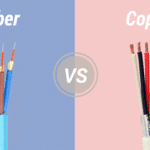 FIBER vs. COPPER – WHAT ARE THE ADVANTAGES? Lower attenuation – the loss of intensity of any kind of physical property through a medium. (For example, the signal strength over the optical fiber). Less interference – electromagnetic interference effects an electrical circuit. This may interrupt, obstruct, degrade or limit a circuit’s performance. These effects may range from data limitation to total loss of data. THE DISADVANTAGES OF FIBER OVER COPPER? Previously, fiber optic infrastructure was not readily available in developed countries. Fiber was also costly and time consuming to install. Due to this, fiber was only used widely in long distance telephone communications, where it is used to it’s full capacity. By 2002, a worldwide network of more than 250,000 kilometers of fiber had been laid by the telecommunications industry, with a capacity of 2.56 Tb/s. However, since the year 2000, the cost of fiber as an Internet service has been lowered greatly. 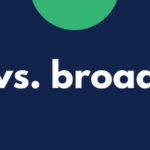 In some cities in the United States, it is cheaper per subscriber, to roll out fiber to the home, than copper based service. This cost is even lower in countries such as the Netherlands. 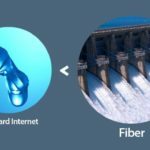 WHERE ARE FIBER INTERNET NETWORKS MOST ACCESSIBLE? 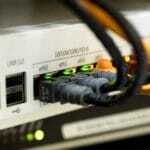 In countries such as Japan, Korea, China and Singapore, fiber has largely replaced DSL as a broadband Internet service. Japan’s So-net offers 2Gpbs fiber speed to the home. Whilst it is not always readily available, fiber based internet and communications are certainly more effective in today’s Information Age, where the demand to receive information faster and in a variety of digital mediums is in high demand.